Smartphone technology becomes more and more advanced, and people even can’t imagine their life without the smartphone. After all, smart handset will do all things, including text, calls, internet, and entertainment stuffs and there is not a single thing which smartphone cannot do. Despite of the hundreds of benefits of a smartphone, some people still want basic phone. This is why; the Alcatel has recently announced a basic smartphone in the United States, touted as Alcatel Go Flip. Also read about latest tech devices and gadget at http://www.vogatech.com. The basic phone features a 2.8 inch display which carries the support for 320 × 240 pixel resolution. It measures at 4.13×2.09×0.67 inches and weighs about 116 grams. The Alcatel Go Flip phone is powered by a Qualcomm dual core processor, which clocked at 1.1 GHz. In terms of memory and storage, the phone is equipped with 521MB of RAM along with 4GB of built-in storage. The storage can be further expanded with the help of MicroSD card up to 32GB. As far as the camera is concerned, the phone sports a 5 megapixel camera on the back of the device. To power this basic phone, there is a 1,350mAh battery inside and the phone also comes with the support for 4G LTE, Wi-Fi 802.11 a/b/g/n/u, Bluetooth 3.0 GPS, and a USB port for charging and data transfer. You saw the specs of the smartphone, it is not for those who using a smartphone because it cannot fulfill all their needs. But best for those who looking a phone for just messaging and calling purpose. 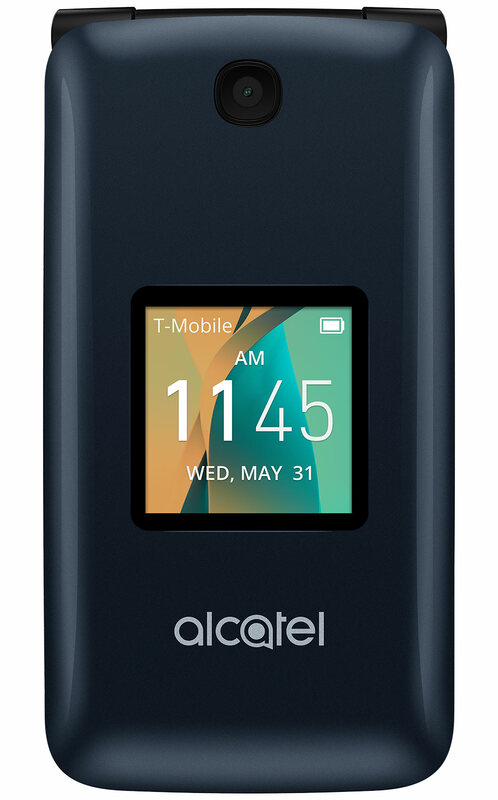 The Alcatel Go Flip is available to purchase at T-Mobile and priced at $75.